Business acquisitions and mergers are primary ways that businesses grow and diversify their offerings, and acquisitions and mergers in accounting call for special methods of evaluating financial statement information like assets and liabilities. Most businesses periodically evaluate their positions in the market place, and they decide to make investments like acquisitions or take actions such as mergers to meet their strategic goals. Acquisitions happen when a company buys controlling interest in another business entity, and mergers occur when businesses combine to form one company. The main steps performed by businesses when participating in acquisition and merger activities are strategic planning, valuation, integration and accounting, according to Accounting Coach. While these investment decisions are often based on analysis that senior leaders get from their managerial accountants and other analysts, most of the accounting activities for acquisition and mergers relate to how these new ventures get recorded on a company’s balance sheet and income statement. Here are some special operations that accountants must perform to ensure that their company’s financial statements accurately reflect the new purchase or business combination. Accountants often in association with third party business valuation firms determine the value of the assets gained when their companies acquire other businesses. According to the generally accepted accounting principles for recording these types of transactions, accountants should record the market value of the assets from the date of the acquisition. There are a few exceptions to this standard rule; for example, insurance contracts are recorded from contract origination and not the acquisition date. Consideration is the payment that the acquired company’s officers receive from the acquiring business for the sale of assets. These payments could be in the form of cash, stock or just about any asset. Accountants must assess the consideration from the acquisition date to determine its market value. The market value of the consideration will equal the value of acquired tangible and intangible assets and future payments related to the acquisition minus the value of the seller’s liabilities. When a merger occurs, accountants must evaluate their company’s financial statements and eliminate accounts that will no longer be applicable for reporting purposes. 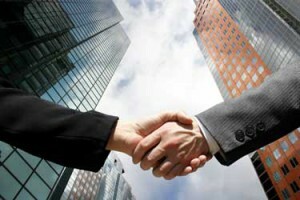 For example, companies that merge with other businesses do not need to keep accounts associated with subsidiaries open. Accountants have to make account elimination journal entries to track the removal of subsidiary accounts. For example, debits are recorded for subsidiaries’ account balances of common stock, retained earnings and paid in capital. A credit is recorded for subsidiary account investments to formally close out the accounts. Accountants apply the same type of elimination journal entries to officially remove transactional information between parent and subsidiary from consolidated financial statements. After accounts that are not required to be recorded are eliminated, accountants perform operations that consolidate balance sheets and income statements. These consolidated entries reflect all of the assets, liabilities, revenues and expenses for the company and its subsidiaries as of the merger date. Acquisition and mergers accounting is a complex concentration area within the career field because there are numerous ways of structuring the terms of acquisitions and mergers. These variations often impact how the assets and liabilities are measured and recorded on company financial statements. Business professionals who perform these types of acquisitions and mergers in accounting are usually seasoned accountants who have had plenty of experience interpreting and recording standard merger and acquisition transactions.